great tip!!! I am new to dies so this will help me out a lot!!! Thanks for the tutorial on how to use the dies. Love your gingerbread cottage. It's so adorable. Super cute projects!! Love that you showed a tutorial on how to use the stamps and kut outs. I have to admit, I didn't do it like that, but you made it look super easy! Great job! 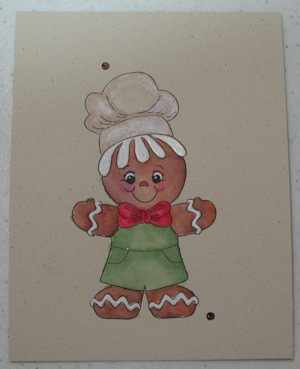 Love that Gingerbread Man. I love stamps that coordinate with dies--I have cutting because it takes too much time and I'm not very good at it. Awesome tutorial on how to use the dies. I REALLY love the way that works. Your gift box house is precious, and I sure hope I'm gonna see a tutorial on that pop up tag. It's AWESOME!! Your water coloring looks fantastic, BTW, and once again, I leave here completely inspired!! Hi Kim, How are you? You asked do I dread cutting stuff out? Oh yea! I take so much time coloring an image that if I want to go for the fuzzy cut sometimes I have to stop working and leave it for later. I'm so glad that PKS has these Kut Outs now- I'm definitely getting some and I hope they have many more. I really like your step-by-step on the "Kutting Out" after stamping because I'm so not good at eyeballing to stamp the other way around. Thank you so much for sharing. 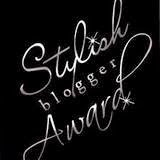 Please enter me for the FREEBIES! I love your blog. I check it every day. Oh my, both of your projects are so precious,but I just love your pop up gift tag.. These are just so cute. I love dies that match the stamps. They make it so easy to get it perfect! Thanks for the inspiration. I love that pop up tag! Super cute! The tutorial was very easy to follow and OMGosh did I mention I totally LOVE your slider/pop up tag. That sweet thing rocks!! Love the projects! Thanks for sharing how the dies worked-I was curious! Your sliding pop up cards are probably my all time favorite! I've never even thought of using that technique for a tag--fantastic idea! Your projects are just adorable. I love these dies they are wonderful and your coloring is perfect! Thanks for showing how the dies work. LOVE all your projects!! They are FABULOUS!! Thanks for the tutorial on how to use the new dies!! Great pop up tag! And love the house! So fun! I love this! Brilliant idea! Oh...love the samples too! Super cute... thanks for the tutorial. Kim, you are my idol. I love all of your stuff but the Peachy Keen things make every idea even better. 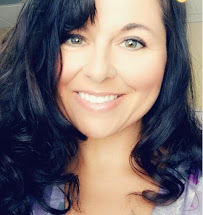 Thanks for all you do and all your ideas. Thanks for sharing that tip on lining up the dies. Love the tag and gingerbread characters. I'm gone hoppin'... Hugs!! Oh SO cute! Thanks for the chance to win Peechy love! Your work is simply beautiful. I am inspired. Placed my first order with Peachy Keen because of you. Love your projects, the gingerbread house is great. Kim, these are fabulous! Thank you for the tutorial! It's so helpful! What an adorable gingerbread house! Love it! 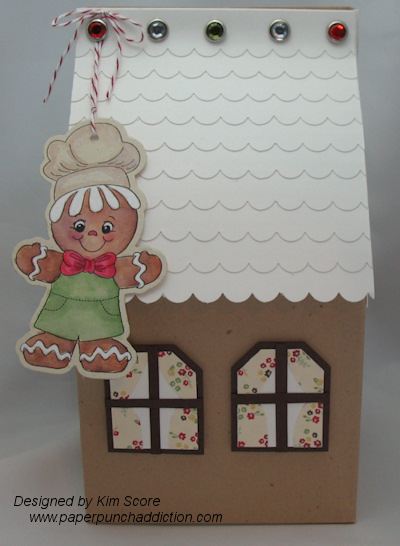 love your gingerbread house and the die cut and stamps are amazing!! I can't get over how adorable these dies are. Wow, great job on the gingerbread and the house and tag. Love your coloring. Thanks for the tutorial too. You always do such an awesome job and make it look so simple. 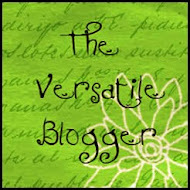 Thanks for sharing and for the blog hop. Love your projects! Thanks for the tutorial, SO very helpful. I love my PKS stamps.. you did a great job. Your projects are amazing. So cute. Wonderful job on gb house and that awesome tag. Thanks for the tutorial too! Love your adorable projects, especially the interactive tag! Thanks for sharing! That is the cutest thing ever!! Love the house!! 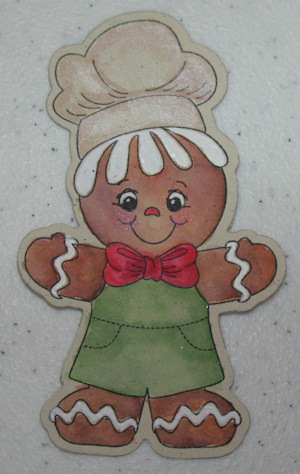 I love the Gingerbread Tag!! How did you do it? 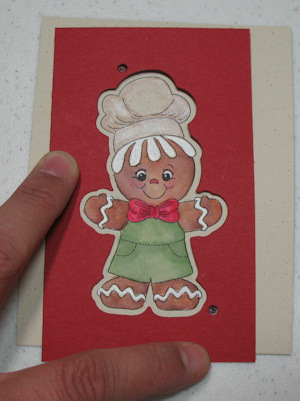 These gingerbreads are super cute. Loving your creations especially the gingerbread house. Really adorable. Thanks for the instuctions with the cuts. Looks very ease. 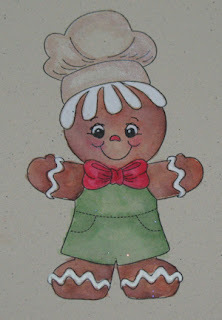 I LOVE LOVE LOVE these gingerbread ones, they are soooo DARLING!!! Adorable Gingerbread boy and girl, just love them!!! Great dies too!! I love the gingerbread house and your red and white ribbon. Thanks for sharing your projects. I love checking your projects out! Thx for sharing with us! KIM KIM you are amazing! 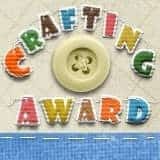 I love your craftiness!!!! I think that tag/gift card tag is awesome. Do share how you made it!!! Pretty please with a peach on top! These are just too cute!! 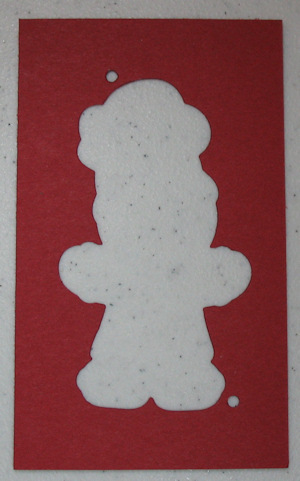 I love the gingerbread house and I have never seen a pop up tag before! That is so cool! How wonderful! These are the cutest dies. Your darling stand up using the peek-a-boo- frames is such a fantastic idea. Thank You! SOO COOL! Love the pull up tag! Ty for the instructions. Im sure Ill be back to reread them when I get my order in!! wow! fantastic!! absolutely LOVE these dies! They are both so incredibly cute Kim!!! 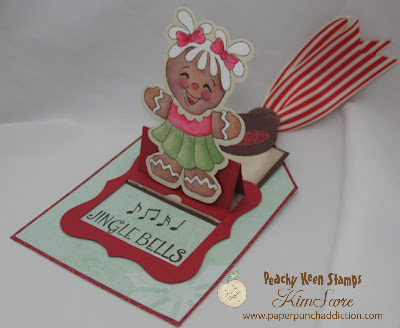 Love PKS new dies & stamps & you just brought them to life with your house & the pop up tag!!! I would so love to learn how you made them!!! I love that pop up tag!! So cute! amazingly cute! so neat how you did the sliding tag to show a message, very cute and clever! Fantastic projects!!! So putting a few on my holiday wish list!!! 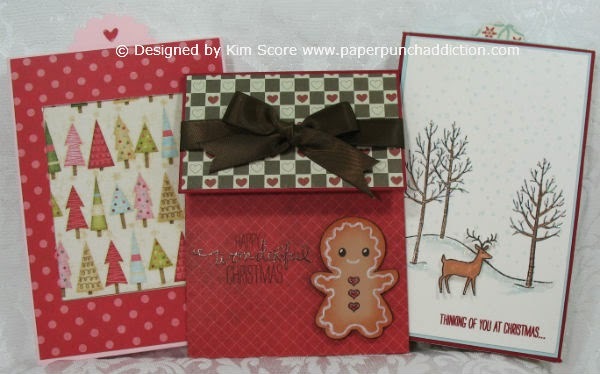 OMGoodness...Pick me Pick me...love the coordinating die and stamp set...the PK sets are TOO CUTE! I like your pop up on the tag...good idea to put to: and from: on there for a gift. Your step by step instructions are just perfect!! Love your projects. Soo cute! I love the sliding tag. Thanks for the great instructions. That gingerbread house is so amazing!! I also love the pop up gingerbread cookie tag, fabulous idea! I love the sliding tag. You've inspired me to make one. TFS! Wow, some really great projects! Thanks for not asking which is my favorite, because I couldn't pick just one. The pop-ups you create are so cool! super cute tags! I only ordered one kut out, I think I need to rethink this! I love your pop ups tag and your instructions on how to use the cuts with the stamps is awesome. I would love to have the set you used. oh my gosh Kim, thank you so much for that tutorial, I really had no idea what those little holes were for! I was cutting the shape and then stamping onto it!! I'm defiantly going to make templates now!! Your gingers are super adorable and fun! I love the little house and the tag card! 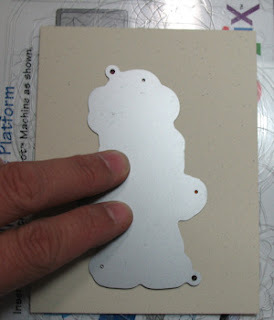 Wow, thanks for the tip and pics on how the die works...I was not sure and the clarity helps.